Hair loss can occur in men, women as well as in children. It is normal to shed some hair daily but if the rate of shedding is greater than the rate of growth then it’s an alarming situation. If hair loss has occurred due to stress, anxiety, improper diet, irregular sleeping patterns or cheap hair-care products, then there is always a cure for your problem. But if it is due to heredity, it is a bit difficult to cure the problem permanently. 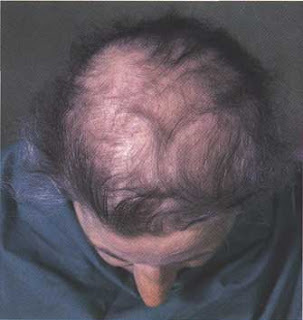 However, there is a possibility of reducing the hair fall rate and preventing hair loss in both the cases. In case of temporary hair loss, the hair usually grows back after the proper treatment of the root cause of the problem. But keep in mind that it is not an overnight process. It takes time for restoration of hair. 1. Don’t brush your hair too much because it can damage hair by leading split ends and hair breakage. 2. Don’t share your combs, brushes and other hair care tools because it can transfer lice and other infections. Certain infections can lead to hair loss. 3. Don’t comb your hair when they are wet. It is the most common cause of hair breakage. 4. Don’t wear large ponytails, braids or buns over a long period of time because it can stress the hair and lead to hair fall. Prefer looser and easy hair styles. 5. Hormonal problems can increase hair fall. Correcting the hormone imbalance can prevent your hair loss. 6. Don’t color your hair regularly. Leave a gap of minimum 6-8 weeks between every session. This will help in preventing hair loss. 7. It is seen that some kind of medicines can also cause hair loss. To prevent hair loss, stop taking that medicine. Birth control pills, blood thinners and antidepressants are some of the medicines that can cause hair loss. Consult your physician if you face major hair loss after starting a medicine. 8. Do take proper care of your hair. Don’t use tight hair rollers or hot oil treatments. It can cause swelling of hair follicle which results in hair loss. 9. Avoid excessive and regular use of hairdryer, hair dyes and curling iron because it can lead to baldness. 10. Include protein and calcium rich foods to your diet to prevent hair loss. Take eggs, almonds, sprouts, fish, soymilk, soy beans, yogurt etc to prevent hair loss. 11. Take regular and on time sound sleep of 7-8 hours every night because improper and irregular sleeping patterns are one of the major causes of hair loss. 12. Wash your hair at least three times a week. It is a myth that frequent washing can harm your hair. Avoid shampoos and soaps that contain chemicals. Use only natural shampoos to wash the hair. You can make yourself these by mixing amla, shikakai and reetha at home. 13. Quit smoking and drinking because these are the root causes of many hair loss problems. 14. Cleansing is most important. It removes dirt and prevents hair loss conditions. 15. Avoid excessive intake of salt and sugar.